The Arona range pushes the boundaries of Cane furniture. 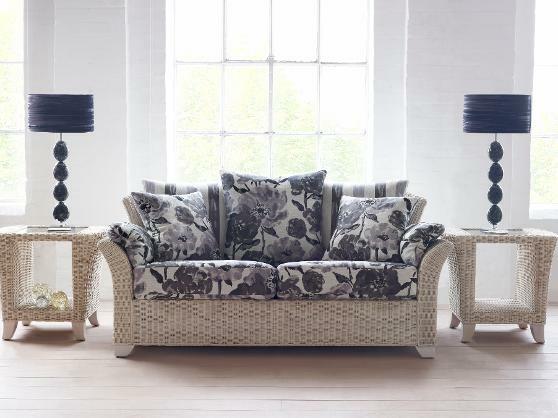 Equally at home in the lounge, the thick base cushions and optional side cushions take Cane furniture comfort to a new level. Sprung seat. Frame colours available in Coco Brown and White Wash. Shown in White Wash finish with Rosette and Essence fabrics. (Feather option cusion available upon request, please contact office for price).